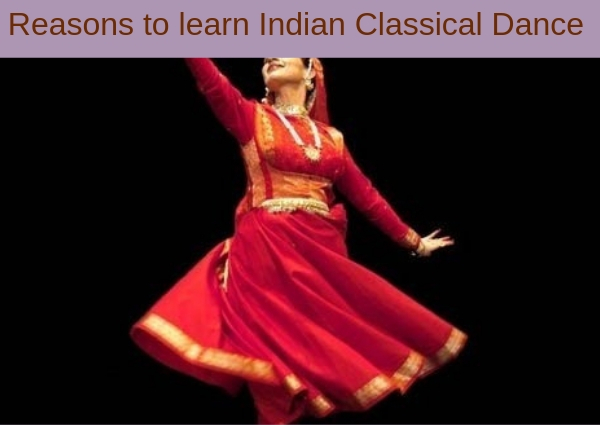 In this article, you will learn about reasons to learn Indian classical dance. Only some people will manage to stick for many years because they have an actual reason for classical dance. It has not difficult but it has come with various limitations, unlike western dance which is free to flow. Indian Classical dance comes with discipline and art. In this, we all seek to be an instant gratification because we live in the age of speed and technology. But that has not changed your way of life. Practicing an Indian classical dance will teach you to perform each step very instantly. It will also help to deal with all the obstacles of life. Everything will take time and you have to learn that while performing an Indian classical dance. 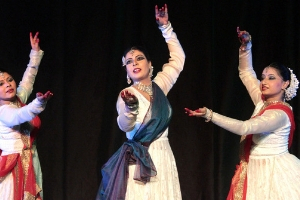 Indian classical dances are about understanding the connection of mind, body, and soul. When you practicing these dance forms, you are basically training your mind to focus on one thing for an extended period of time. This shall always keep you in the present and aware of that present moment. There are a lot of exercises and dances that help you to lose weight very instantly. But when you practicing an Indian classical dance form, you not only building endurance but also build muscle strength. That should be changing in your life once you joining an Indian Classical Dance form. While practicing this dance forms you require to be more disciplined. You require you to go home and practicing beyond the classes with your teacher. Indian classical helps you to understand different rhythms, body and your self. Most importantly, it also helps to understand the timing because it helps to coordinate with rhythms. That’s how it inculcates discipline which then spread to other aspects of your life. You wish you could stop reacting. In your daily life, you feel happiness, love, sadness, anger, excitement in which Indian classical dance gives you a lot of patience to control these emotions. While performing these, you will start understanding the connection between your emotions -body and mind. This will also help you in observing your emotions much better. So that, you will stop reacting and start acting productively. Indian classical dance helps to tone your pelvis, arms, and thighs. It is because each dance form stresses on different combination of muscles, so choose the one in which you feel most comfortable. When you keep training your muscles and body regularly, it is bound to improving your great flexibility. When your limbs learn to coordinate naturally and learn the science of rhythm- you can pick up very easily. There are various dance styles that involving so many parts of the body. Indian classical dance does that, so you can be prepared to grasp any style. Once you dedicate yourself to performing some form of Indian classical dance. The amazing part about Indian classical dance is that give you an understanding of the body to release you from the body. Well, you understood the limitations of the body to overcome them. All these dances are about communicating the much experience. Once you through the basics, you are already beyond the body. Well, this was the end of the article of reasons to learn Indian Classical Dance. In which kadambari sangeet Mahavidyalaya help you. You will only dedicate to at least six months and see the huge transformation in yourself. Looking For Dance Classes in Gagan Vihar ?